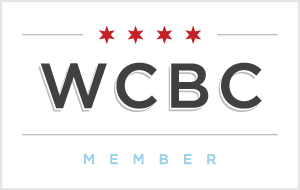 I had the hilarious experience last night of being passed from employee to employee, all claiming to have an “idea” where they were but ending up confused and embarrassed enough to hand me off like a football to another coworker. It was like “Hey, here’s wonton wrapper girl, she’s your problem now.” (For the record they are often kept in the produce section near the tofu). For something so tricky to find, wonton wrappers are a hidden gem of cooking. It’s easy to assume wontons are only suitable for Asian tastes, but that couldn’t be further from the truth. Wonton wrappers are simply the Chinese answer to ravioli–they are made of eggs, water, and flour, and have great nutritional stats. On average, 8 wraps have 155 calories, 0.5 grams of fat, 1 gram of fiber and sugar, and 4 grams of protein. All alone they have no taste, so it’s totally up to the chef to decide what to do with them. I remember my first time eating wonton wrappers casually–a friend in college had stuffed them with chicken, tomatoes, and spinach. 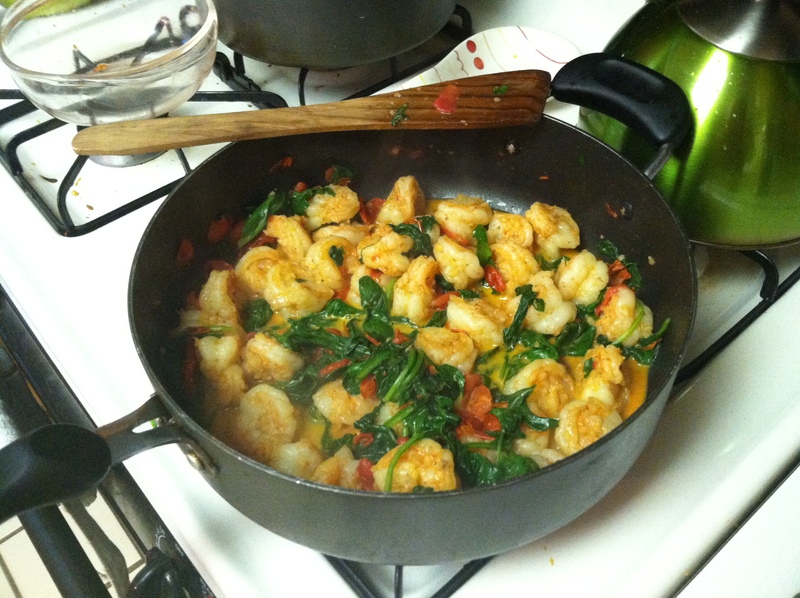 It was a simple recipe that tasted amazing, kept well in the fridge, and didn’t cost an arm and a leg. With my constant desire for comfort food during the winter months, I’m always looking for things to make me feel like I’m indulging but are actually on the healthy side. After a little searching and modifying, I made some skinny spanakopita. Traditionally, spanakopita is a Greek dish made up of spinach, feta cheese, and onions, all layered between buttery pieces of phyllo dough. It’s basically Greek lasanga and it’s incredible (I suspect the butter has quite a bit to do with its popularity. People don’t often go ham over spinach-filled entrees unless they’re full of butter, sour cream, or cheese). 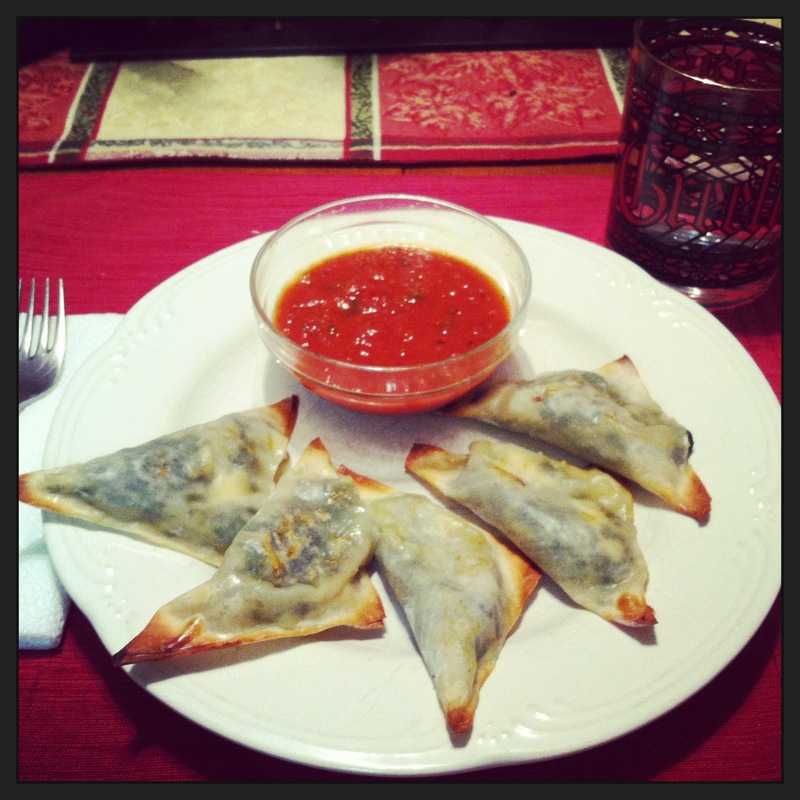 With this recipe you get the best of both worlds: cheesey, garlicky spinach stuffed into crunchy wonton wrappers just waiting to be dipped into a hot bowl of marinara. 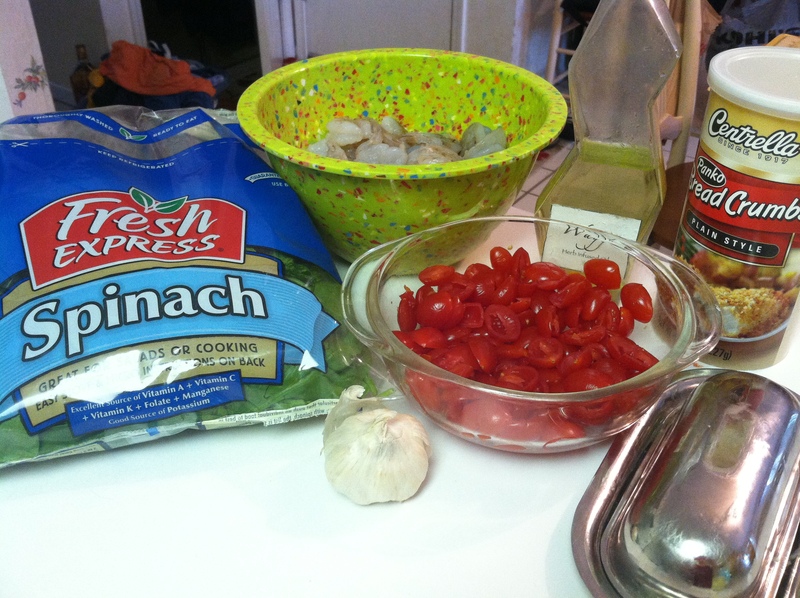 It’s perfect for a quick, easy meal during the week when you don’t have a lot of time but are sick of making more spaghetti or grilled cheese. 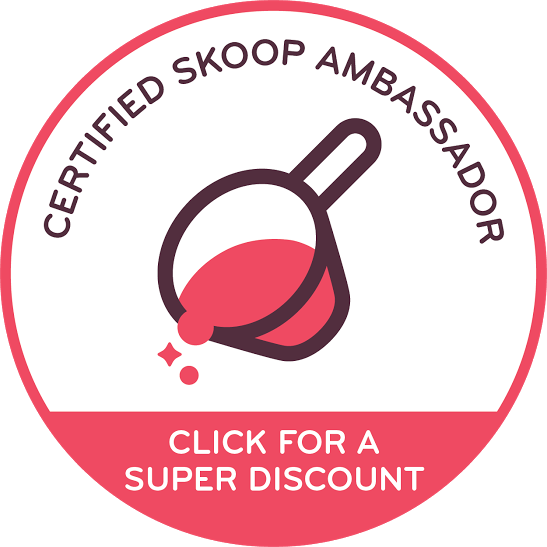 Plus, it sneaks vegetables into your day in the most delicious way! 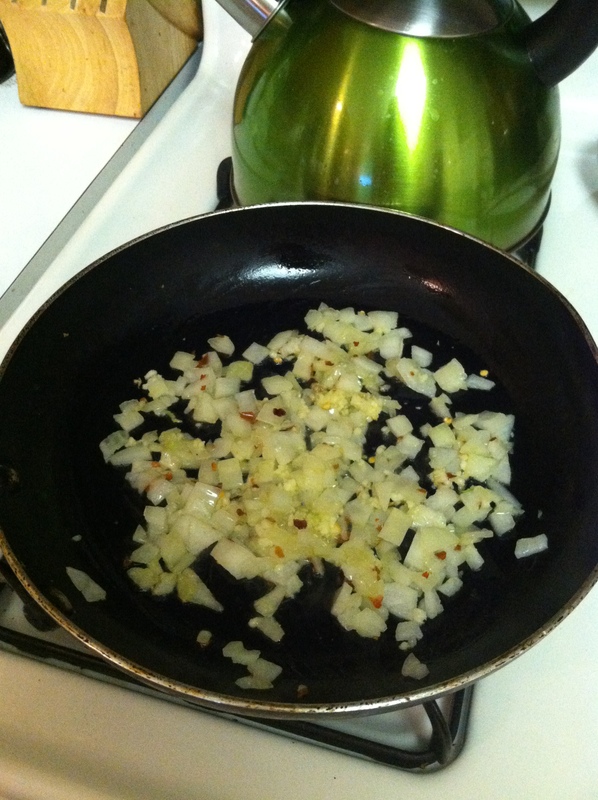 Add the garlic, onion, and red pepper flakes. 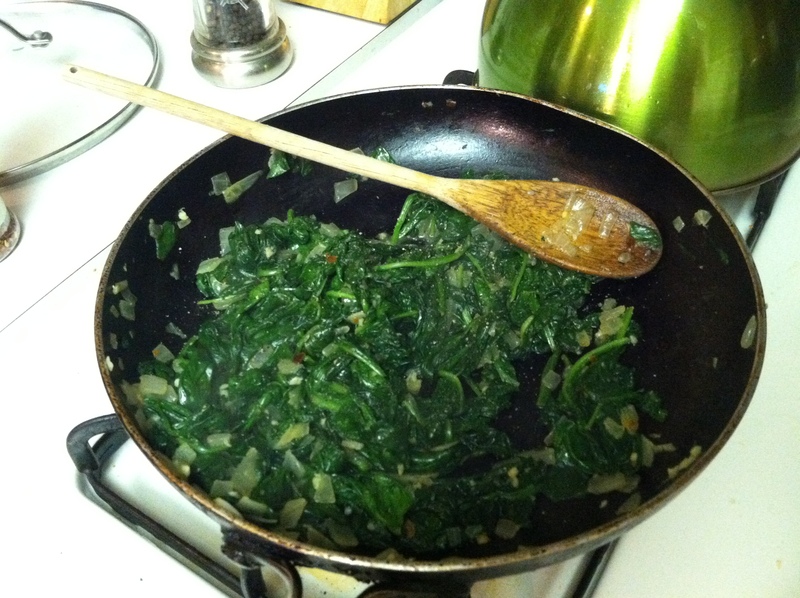 Once the vegetable mixture is fragrant (you’ll really be able to smell the garlic), slowly add the bag of spinach and stir until the spinach has cooked and wilted. 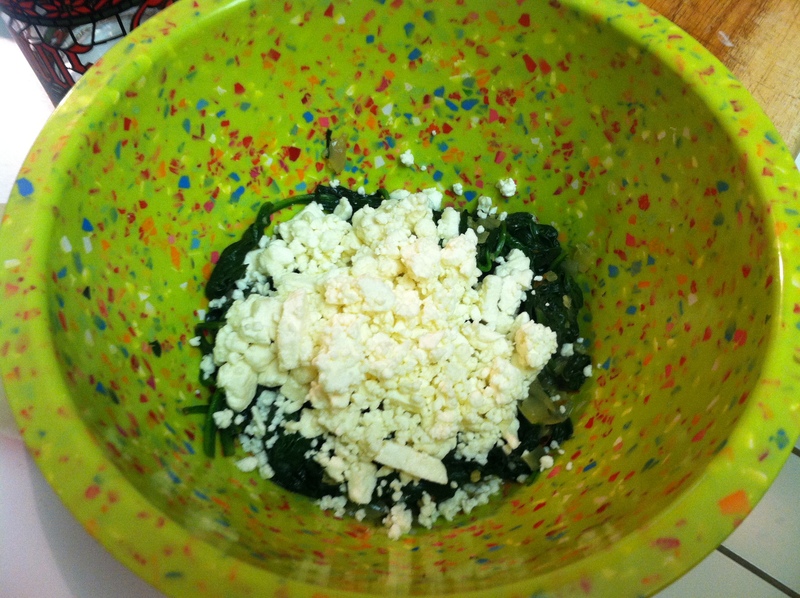 Place your spinach and vegetable mixture in a medium-sized bowl and add the feta cheese. Stir until combined. Fill a bowl with warm water and get your egg white into another bowl. Place both bowls by the cookie sheets. Assemble the skinny spanakopita by scooping a tablespoon or so of the cheese/spinach mixture on the middle of the wontons. Using the back end of a spoon or a pastry brush (if you have one), line the edges of the square wonton with warm water. 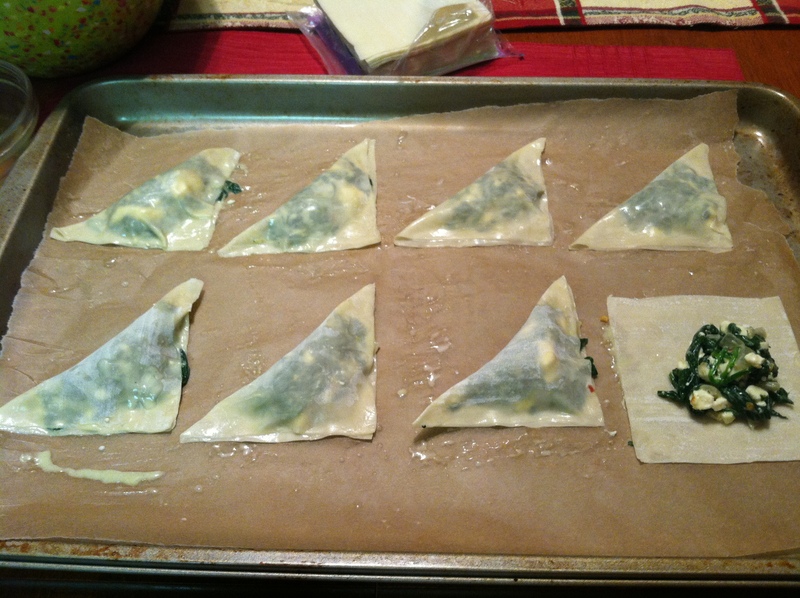 Once the edges are all wet, fold the wonton in half diagonally so you are left with a triangle. Press all the edges down to close. The warm water should help seal the stuffing in. Repeat with all the wontons. Brush each wonton (now a triangle filled with stuffing) with your egg wash.
Bake for 10-12 minutes, or until crispy. 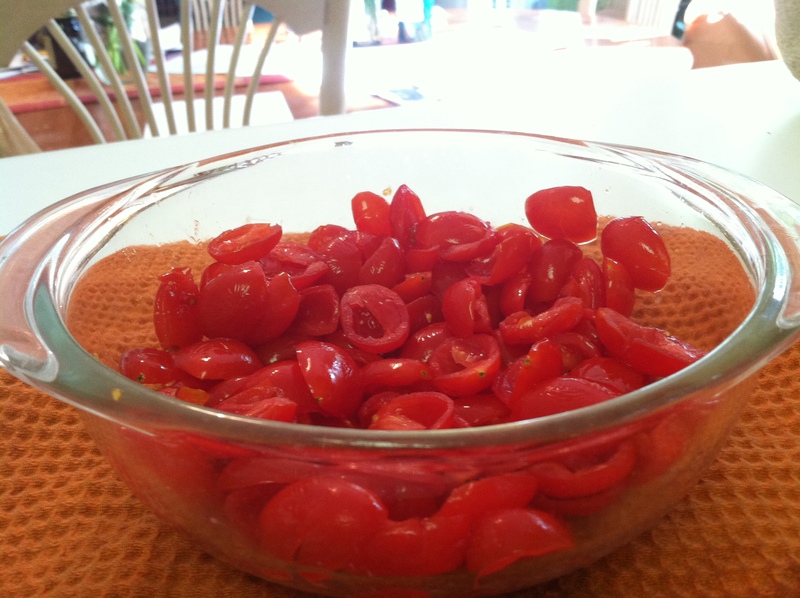 Serve alone or with marinara sauce, and enjoy! Have you ever tried spanakopita? 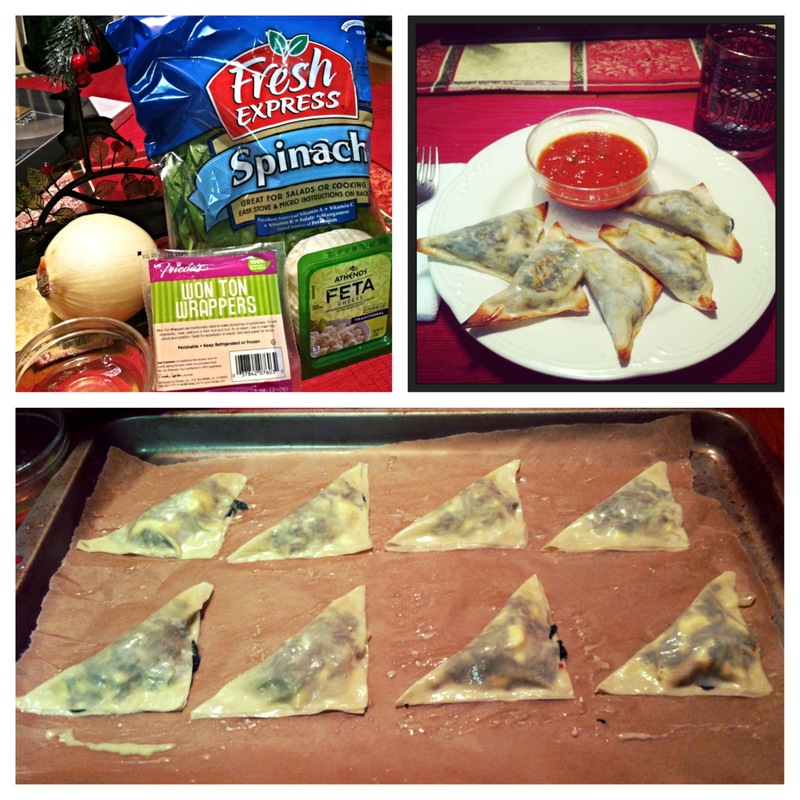 Have you ever used wonton wrappers in a recipe?